Watch for a demo of this great CatBird Baby carrier and enter to win it! Hello my dears. Well, the holidays are here and I am thrilled to be offering to all you CloudMamas a very special set of giveaways, all of which are brought to you by one of my favorite baby carrier brands, CatBird Baby. For the next four weeks, we'll be promoting a new video featuring CatBird Baby's wonderful carriers. And with each video there will be a separate giveaway. Yippee! I am crossing my fingers for you and hoping you win! 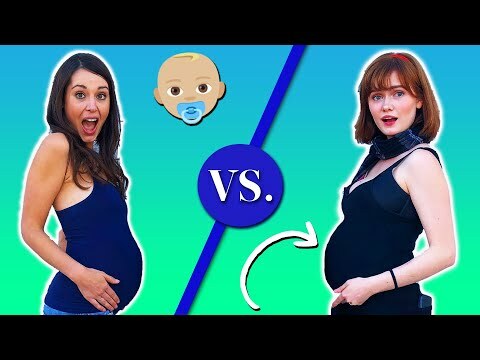 Today, we kick off this special holiday giveaway with my new video review tackling how to front carry your baby in the CatBird Baby Mei Tei. In the weeks to come, I'll be publishing videos on carrying a newborn, back-carrying and breastfeeding in the Mei Tai. A warm thanks to our pals at Metro Minis for helping us produce these videos. For more on their baby wearing services, see below. One thing I love about the Mei Tai is the simplicity of the design. You don't have to worry about any confusing snaps or buckles. It's just a large, beautiful piece of fabric. There are a lot of fun designs to match any personality! The wide straps provide really good, comfortable support, too! If you're looking for a simple, comfortable carrier that's available in fun patterns, consider the Catbird! It's perfect for shopping trips or strolls in the city when you need your baby to stay close to you and out of trouble! Today's video shows how to carry a baby in the front-facing position in the Mei Tai! 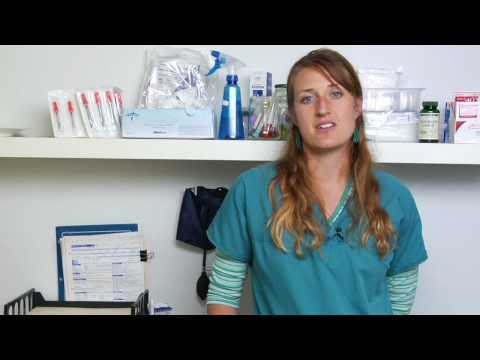 Before doing anything with your baby, make sure that your wrap is securely tied around your waist, similar to an apron. Next, pick up your baby and hold her against you with her legs straddling your middle, centered above the Mei Tai. Now, you can bring your carrier up between the child's legs and across her back. Take one shoulder strap over her shoulder, then the other strap over the other shoulder, so that they form an X on your back. Pull straight down at first before bringing the strap around to the front. This help keeps the X centered on your back. Lastly, bring the straps around the the front and tie. Tying under the baby's bottom will provide good support. It's really that easy! Watch my video for more in-depth steps and demo! Did you carry or push your baby? Comment below! Thanks again to Metro Minis, the NYC Babywearing experts! With more than 10 years of experience, these certified babywearing educators provide NYC mothers with private consultations, babywearing clinics and classes, post partum doula services, and easy rental options for carriers and slings. Hello my dears. Well, the holidays are here and I am thrilled to be offering to all you CloudMamas a very special set of giveaways, all of which are brought to you by one of my favorite baby carrier brands, CatBird Baby. For the next four weeks, we’ll be promoting a new video featuring CatBird Baby’s wonderful carriers. And with each video there will be a separate giveaway. Yippee! I am crossing my fingers for you and hoping you win! 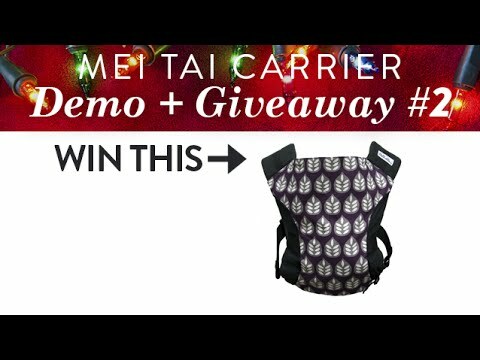 Today, we kick off this special holiday giveaway with my new video review tackling how to front carry your baby in the CatBird Baby Mei Tei. In the weeks to come, I’ll be publishing videos on carrying a newborn, back-carrying and breastfeeding in the Mei Tai. A warm thanks to our pals at Metro Minis for helping us produce these videos. For more on their baby wearing services, see below. One thing I love about the Mei Tai is the simplicity of the design. You don’t have to worry about any confusing snaps or buckles. It’s just a large, beautiful piece of fabric. There are a lot of fun designs to match any personality! The wide straps provide really good, comfortable support, too! If you’re looking for a simple, comfortable carrier that’s available in fun patterns, consider the Catbird! It’s perfect for shopping trips or strolls in the city when you need your baby to stay close to you and out of trouble! Today’s video shows how to carry a baby in the front-facing position in the Mei Tai! 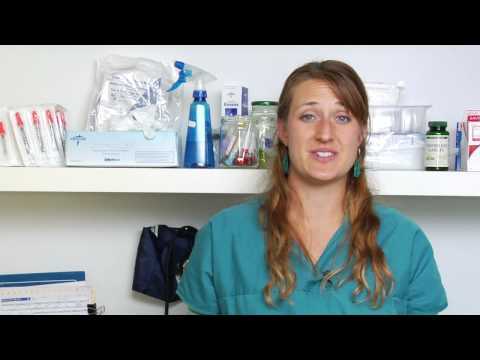 Before doing anything with your baby, make sure that your wrap is securely tied around your waist, similar to an apron. Next, pick up your baby and hold her against you with her legs straddling your middle, centered above the Mei Tai. Now, you can bring your carrier up between the child’s legs and across her back. Take one shoulder strap over her shoulder, then the other strap over the other shoulder, so that they form an X on your back. Pull straight down at first before bringing the strap around to the front. This help keeps the X centered on your back. Lastly, bring the straps around the the front and tie. Tying under the baby’s bottom will provide good support. It’s really that easy! Watch my video for more in-depth steps and demo!